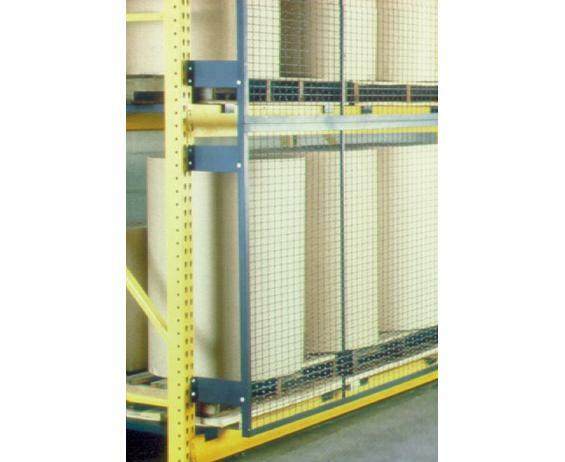 Helps keep objects from falling from loaded pallet racks by using rack guard panels. Constructed from 1.25" angle frame and 2 x 1 x 10 ga. rectangular mesh. 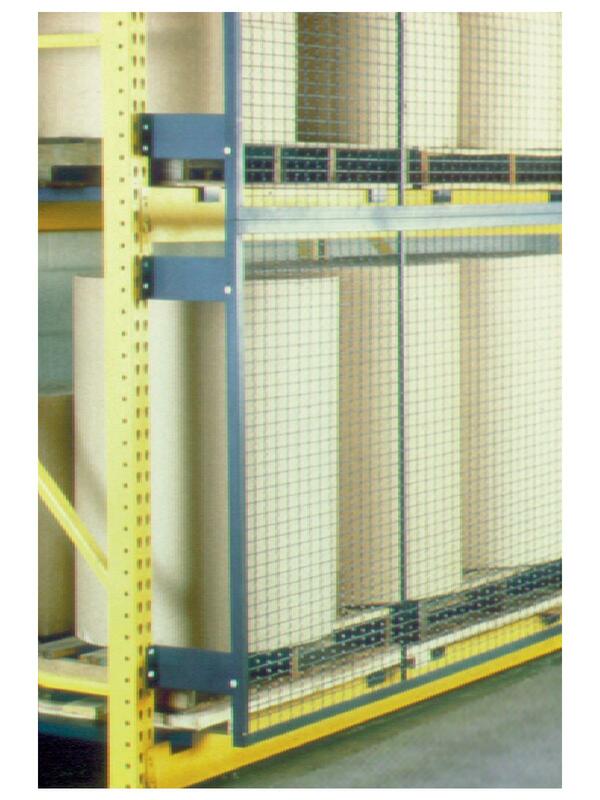 These PalletGard™ units are easy to install -- just bolt clips to pallet rack upright and fasten to panel. Standard panels cover widths of 8', 9' or 10' heights of 4' and 5'. Interconnecting hardware is included. Clips are extra. 1 package of 4 clips required per panel. Clips are designed to fit most standard pallet racks with holes. Spaced on 2" centers. Durable Gray finish. FOB Shipping Point. See Related Items tab for Jesco PalletGard™ Clips.